U.S. Cellular’s Android customers using Amazon’s Appstore will now be treated to recommendations from the carrier via a specially “curated app menu.” This new feature will add a U.S. Cellular tab to the Amazon Appstore, which will offer pre-selected and approved applications by the carrier in a wide variety of categories such as games, social media and business tools. It’s unclear how U.S. Cellular determines which applications to recommend, but the carrier promises that this new menu option will be updated often. “The U.S. Cellular menu in the Amazon Appstore is a great way for our customers to discover new apps that are practical and fun,” says Edward Perez, vice president of marketing and sales operations at U.S. Cellular.” Amazon’s Appstore ships pre-loaded on most U.S. Cellular Android handsets. So if you’d like to give this new feature a try, head on over to the Appstore and give it a whirl. CHICAGO, May 22, 2012 (GLOBE NEWSWIRE) — U.S. Cellular (NYSE:USM) has introduced a customized application menu in the Amazon Appstore for Android available exclusively to the carrier’s customers. U.S. Cellular is the first and only carrier to offer this specially curated app menu, which is now available on most U.S. Cellular Android-powered devices.When U.S. Cellular customers open the Amazon Appstore on most Android-powered devices, they will see a new U.S. Cellular tab, which suggests apps that are pre-selected and approved by U.S. Cellular. The new U.S. Cellular app menu gives those Android users easy access to many applications across a variety of categories, such as games, business tools, and social media with additional apps being added on a regular basis.”The U.S. Cellular menu in the Amazon Appstore is a great way for our customers to discover new apps that are practical and fun,” says Edward Perez, vice president of marketing and sales operations at U.S. Cellular. “We’re thrilled to build upon our existing relationship with Amazon to offer this convenience to our customers so they can get what they want, when they need it.” The Amazon Appstore for Android is pre-loaded on many U.S. Cellular Android-powered devices, as well as other apps, including Kindle for Android, Amazon Mobile, IMDb Movies & TV, Audible for Android, Zappos and Amazon MP3. The Amazon Appstore U.S. Cellular menu is another benefit offered to U.S. Cellular customers, who already enjoy the only nationwide network with unique benefits, such as the industry’s only points-based rewards program, free Battery Swap and free Overage Protection. About U.S. Cellular U.S. Cellular rewards its customers with unmatched benefits and industry-leading innovations designed to elevate the customer experience. The Chicago-based carrier has a strong line-up of cutting-edge devices that are all backed by its high-speed nationwide network that has the highest call quality of any national carrier. Currently, 25 percent of customers have access to 4G LTE speeds and 54 percent will have access by the end of 2012. 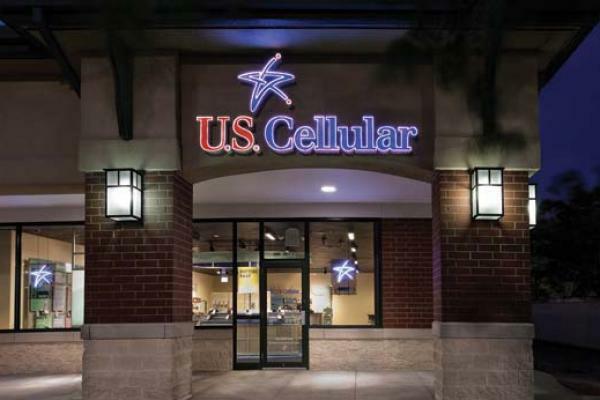 U.S. Cellular was named a J.D. Power and Associates Customer Service Champion in 2012 for the second year in a row. To learn more about U.S. Cellular, visit one of its retail stores or uscellular.com. To get the latest news, promos and videos, connect with U.S. Cellular on Facebook.com/uscellular, Twitter.com/uscellular andYouTube.com/uscellularcorp.